Apple has suffered an embarrassing leak of its major product announcements today, just hours ahead of its much-publicized "Gather Round" event at the Steve Jobs Theater in Apple Park. An XML sitemap file briefly available on Apple.com included intended URL links for Apple's entire iPhone lineup as well as the company's redesigned Apple Watch Series 4, but one product line noticeably absent from the list of links was the iPad Pro. 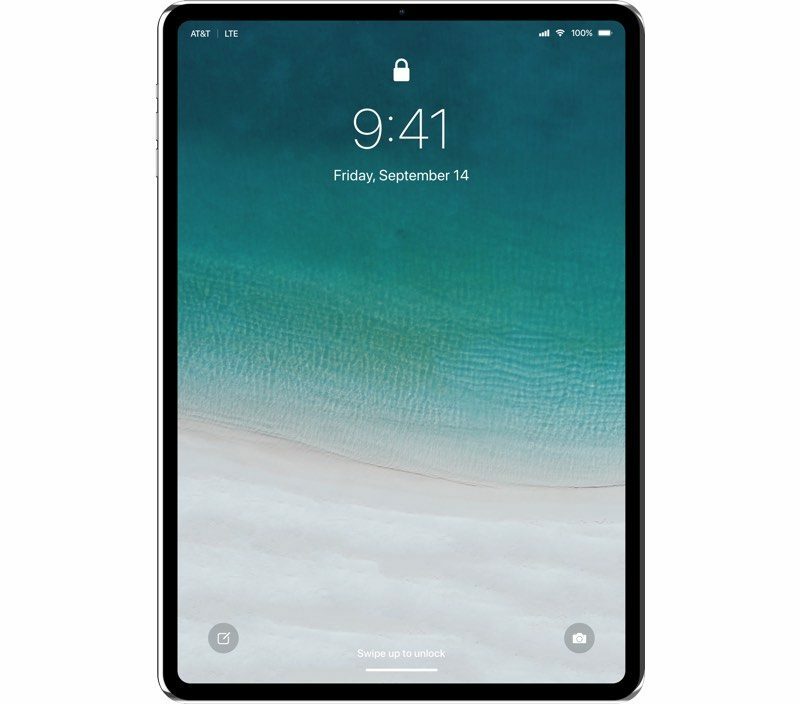 Apple has been working on updated iPad Pro models that adopt an iPhone X-style design with slimmer bezels and no Home button, with the iPads instead set to gain a TrueDepth Camera System that will allow Face ID to be used for biometric authentication purposes. Rumors have suggested the new iPad Pro models will be available in screen sizes that are approximately 11 and 12.9 inches, with Apple using chamfered edges that are similar in design to the iPhone SE. The antenna lines on the device may also be located at the top and bottom, similar to the iPhone 7. Based on today's leak, there's a good chance Apple has decided to hold over its new iPad Pro announcement for a separate October launch event. If that's the plan, Apple will likely also use next month's event to announce a raft of new Macs, including refreshed iMacs, a new Mac mini, and a new low-cost MacBook Air. Additionally, a question mark remains over the fate of the Apple's AirPower wireless charging mat. Apple introduced the AirPower in September 2017 and promised to launch it in 2018, but development issues have delayed its release. 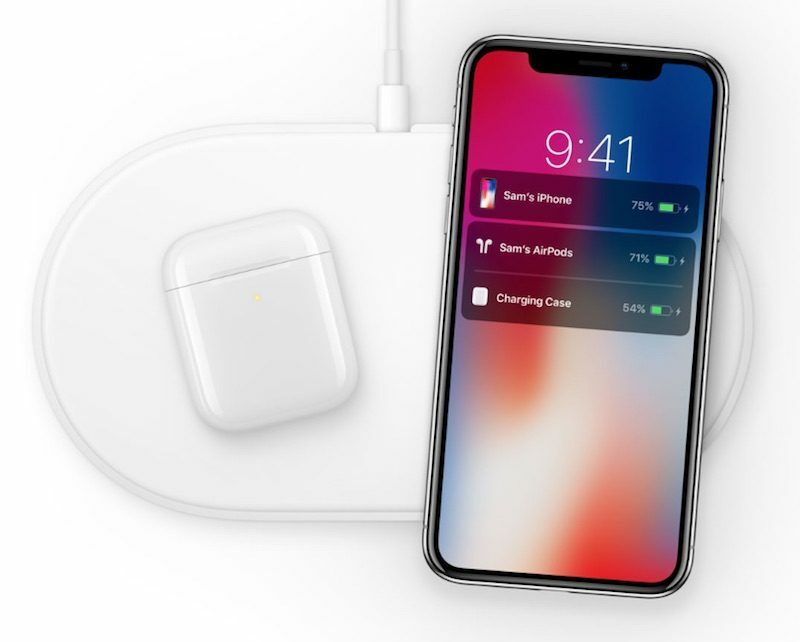 The AirPower is designed to charge the Apple Watch (Series 3 and 4), glass-backed iPhones, and AirPods all at the same time, with a wireless charging case required to enable wireless charging for the AirPods. In July, Bloomberg's Mark Gurman claimed Apple aims to release its multi-device AirPower charging mat "before or in September", however there's no mention of the AirPower in today's aforementioned leaked XML sitemap. On the other hand, Apple could be planning to host the device on its website under a generic "Accessories" listing, which could theoretically give it a non-identifying URL link. But given the clear listing of the company's other upcoming products, that possibility seems unlikely at this stage. Of course, Apple could still surprise us later today by unveiling both its new iPad Pro lineup and the AirPower, but we'll just have to wait and see. The keynote begins at 10:00 a.m. Pacific Time. MacRumors will be covering the event live from Steve Jobs Theater, with a live blog, hands-on photos, news stories, videos, and live tweets via @MacRumorsLive on Twitter. This event is rapidly becoming a non-event yet again. I am a sad hombre. Wake me up when new iPads and Macs are revealed. Apparently Apple were inundated by requests from people's credit cards and bank accounts requesting some time to recover from the serious battering they will take over the next few days. Can't wait for the new iPad. My Air is in serious need of an upgrade. Too bad apple seems incapable of keeping secrets anymore. So this event will be another really big yawner where 20 minutes of information is drawn out over 2 hours. No real new products (I don't consider new sizes of an existing product as a new product). This AirPower situation is quite the black eye. How frustrating for the consumer, and embarrassing for the company. Apple purposely "leaks" these things. Even the most basic digital marketer understands the significance of a sitemap. That's how you tell Google and other search engines about your website. You don't just accidentally update it thinking no one will notice. This was purposely done to create hype before the keynote. Look at all the articles and discussion going on because of it. Tons of free press for Apple.